Find important forms for the 2018-2019 School Year. 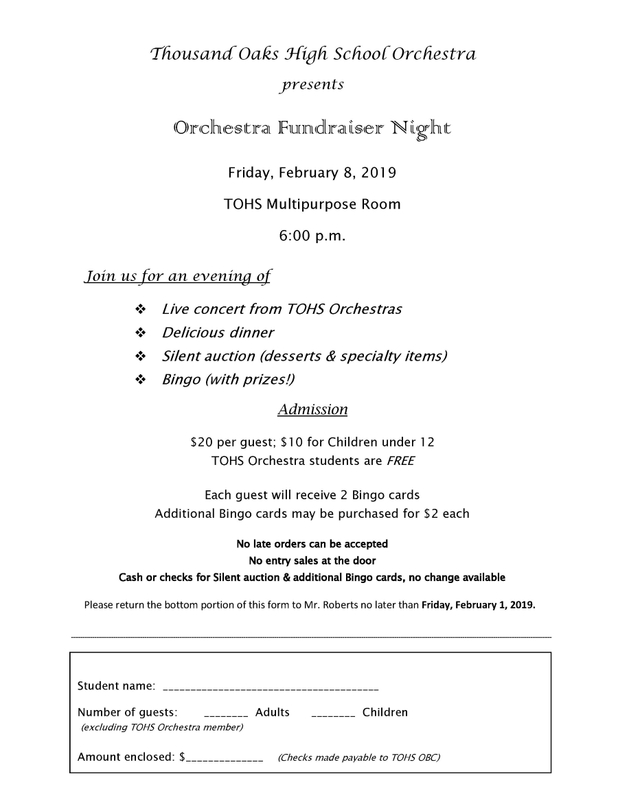 Bingo Night Feb. 5 Flyer. 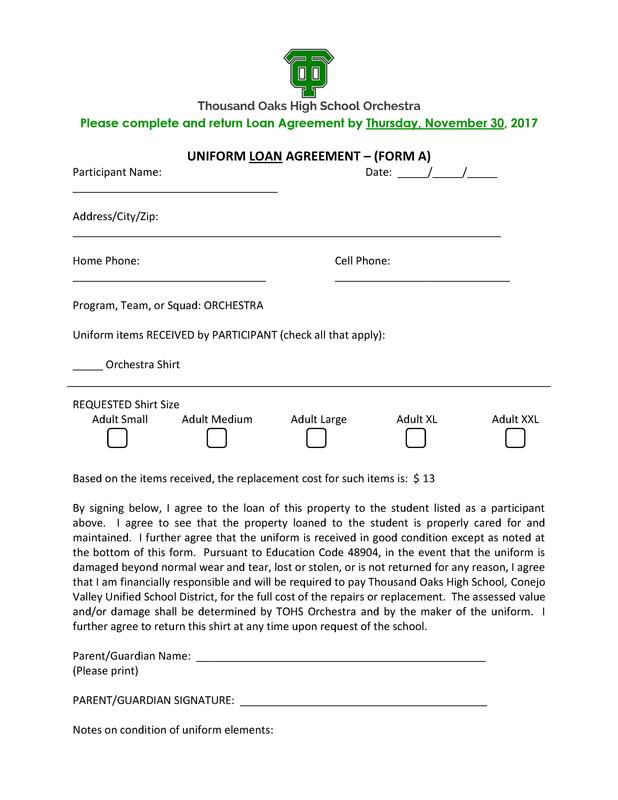 Orchestra Shirt Order Form and Loaner Form. Tshirts are to be worn at informal performances. Students wishing to purchase their own shirt should order by 11/30. Loaner shirts are also available. 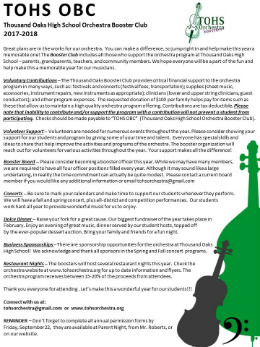 Complete Orientation Packet for Orchestra Boosters. 2017-2018 Welcome packet, full of all sorts of important information - Key events, volunteer opportunities, fundraising, sponsorships and lots more! To maintain and expand our outstanding music program, it’s necessary to augment the funds provided by the school. Your generous support allows us to further the strengths of our developing musicians. 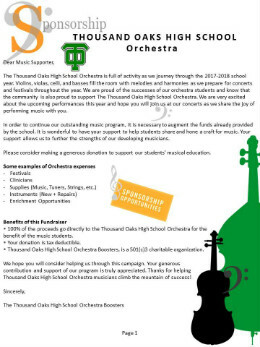 Please consider making a generous donation to support our students' musical education. Some examples of Orchestra expenses are: Clinicians, festival registrations, transportation, instruments and instrument repair, sheet music, tuners, and many other items. Please register your grocery club cards online with our eScrip program and at Ralphs. 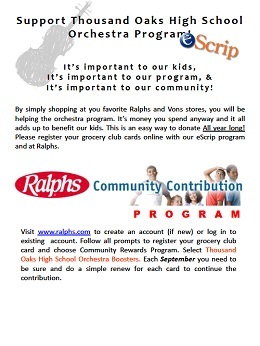 Visit ralphs.com to register your card online and select Thousand Oaks High School Orchestra Boosters.